Komiti Pasifika gives a voice to Pacific Island members in the governance of our union. We welcome members from Samoa, Tonga, Fiji, Cook Islands, Tokelau, Niue, Tuvalu, Solomon Islands, Micronesia, Papua New Guinea, Hawaii… and the rest of the Pacific! Komiti Pasifika is particularly focussed on building a wider community network outside of the union. 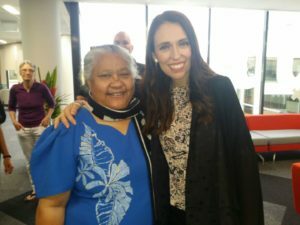 Our relationships with organisations, such as churches and community groups, give E tū Komiti Pasifika more reach and more ability to bring real change as they are very active and very much part of these churches and communities. E tū members from the Pacific Islands predominantly work in aged care, cleaning, security, hospitals, hospitality, and food manufacturing. These industries are affected by low pay and a contracting model that drives wages down. That’s why Komiti Pasifika is very active in the Living Wage campaign. The Komiti also has a much wider focus than just life at work. Housing is a major issue that affects many Pacific Island members and Komiti Pasifika directly campaigns for improvement to access, quality and affordability of housing, particularly in metropolitan areas.